Property 2: Grace Bay Beach Ocean Villas, Bougainvillea Villa. Rated #1 On Trip Advisor. Grace Bay Beach Ocean Villas, Gardenia Villa. Rated #1 On Trip Advisor. Property 4: Grace Bay Beach Ocean Villas, Gardenia Villa. Rated #1 On Trip Advisor. Property 6: Romantic Oceanfront Cottage - Stunning Ocean and Sunset Views! Property 11: Wow, Gracebay Ocean View Plus Up To 70% Off The Rack Rate!!! Property 19: Seclusion, Privacy, Luxury - This is the perfect place for 2 people. Grace Bay Beach Ocean Villas, Orchid Villa. Rated #1 On Trip Advisor. Property 24: Grace Bay Beach Ocean Villas, Orchid Villa. Rated #1 On Trip Advisor. Property 25: Grace Bay Beach Ocean Villas, Hibiscus Villa. Rated #1 On Trip Advisor. 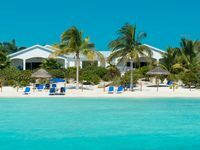 Property 26: Resort Condo Located on Grace Bay Beach - Trip Advisor #1 Beach in World!!! Property 27: 1 bedroom, 1 bath Newly Renovated Ocean View Condo Steps From Beach. Grace Bay Beach Ocean Villas, Jacaranda Villa. Rated #1 On Trip Advisor. Property 32: Grace Bay Beach Ocean Villas, Jacaranda Villa. Rated #1 On Trip Advisor. Property 36: Spacious 1 Bdrm 1.5 Baths, Best Beach View! Amazing Ocean Views - Breezy Contemporary Condo - Steps Away from the Beach. Property 37: Amazing Ocean Views - Breezy Contemporary Condo - Steps Away from the Beach. Property 39: Pelican Cottage - Minutes to Grace Bay Beach! !Bikes Incuded! !/Car 4 Rent!! Property 40: Royal West Indies Resort , suite 123, Spectacular Beachfront Condo on #1 Beach. 1 BR -1.5 BA Grace Bay ALEX "207- 5 ⭐ Reviews LOW SEASON $299.00 PER NIGHT!! Property 44: 1 BR -1.5 BA Grace Bay ALEX "207- 5 ⭐ Reviews LOW SEASON $299.00 PER NIGHT!! Coconut Beach Villa! 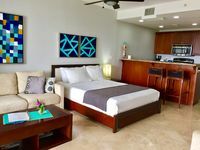 - Luxury BEACHFRONT North Suite! ......Sapodilla Bay Beach! Property 45: Coconut Beach Villa! - Luxury BEACHFRONT North Suite! ......Sapodilla Bay Beach! Our week here was fabulous! The condo was perfect.....beautiful decor, fully equipped kitchen (better than home!) with stainless steel appliances, marble floors, glorious ocean view, lovely, well landscapes grounds, close to restaurants and bars and pristine beaches. Perfect for the 2 of us. Janelle was wonderful to work with....extremely helpful, gave us great suggestions for restaurants and excursions, she took care of all the necessary details/easy to communicate with by email prior to our arrival. Suggest renting a car to see the whole island which is definitely worth it! However, it was challenging driving on the left side with endless roundabouts! Condo is close to Grace Bay with many shops, restaurants, and resorts. Highly recommend The Bight Settlement! 5 Star for sure! My 15 year old son and I came and it was perfect. The home was perfect. 3 good sized bedrooms. Open concept kitchen. I watched every sunset, and they were breathtaking and serene. Love that we had a private beach just steps away from the door. We enjoyed sitting at the table on the patio playing games. Close by, we had snuba, snorkeling, and just steps away down the beach, we jet skied in the open ocean. It was just what I needed to get away, relax, recharge, and make awesome memories.